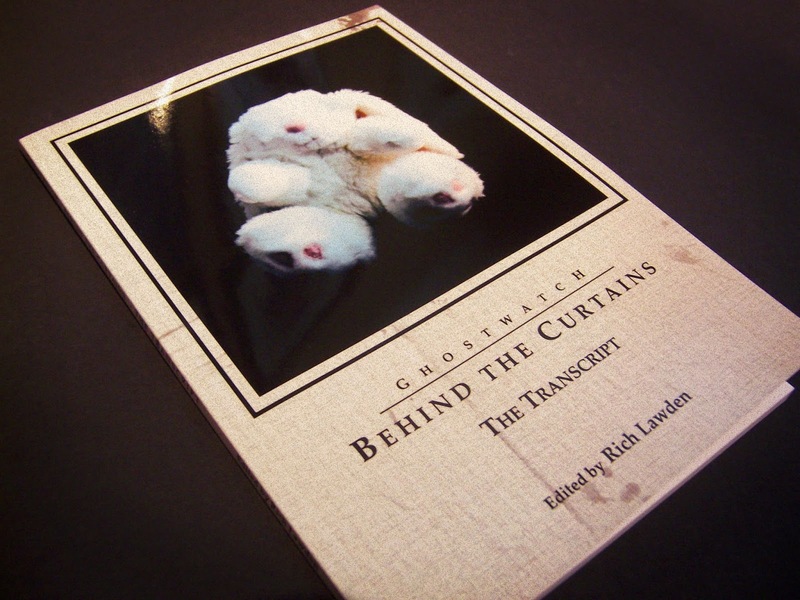 Ghostwatch: Behind the Curtains: It's not appeared in print, one single time, I assure you! It's not appeared in print, one single time, I assure you! A bit out of the blue, I know, but we can officially reveal the entire doc has been transcribed into a second book, which is now available to pick up over at Lulu.com! Rather snappily entitled, "Ghostwatch: Behind the Curtains - The Transcript", this brand-new publication mostly comes in response to several messages sent in to the site, requesting a subtitle track for the doc, in particular for the hard of hearing. Unfortunately, we just didn't have the time or resources to implement such a feature on the DVD, but hopefully, this will make for a fitting accompaniment. For those who are planning on making the trip, a few copies should be available to pick up, and be squiggled on, at the London Film & Comic Con in July.